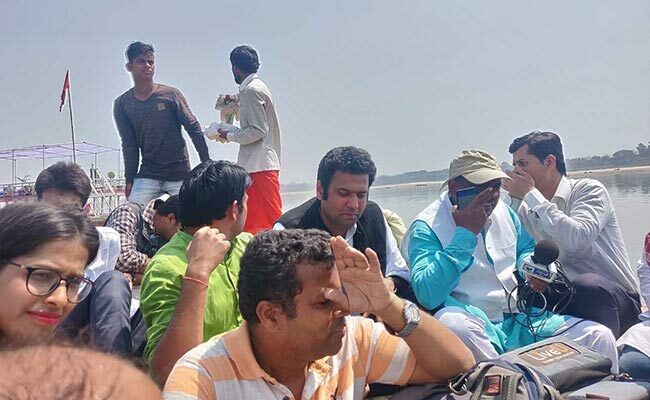 Priyanka Gandhi Ganga Yatra: This morning, as Priyanka Gandhi Vadra began her boat ride, it turned out that even the organisers -- the Congress - didn't have an answer. 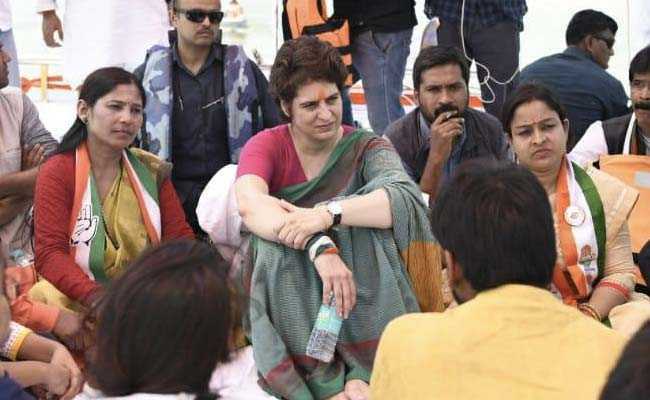 In the last four days, ever since the Congress announced that Priyanka Gandhi Vadra would take a steamer ride down the river Ganga between Prayagraj and Varanasi to launch the party's campaign for the national polls, the biggest question for reporters was this - how does one cover this campaign? This morning, as Priyanka Gandhi Vadra began her boat ride, it turned out that even the organisers -- the Congress - didn't have an answer. Questions to Congress leaders about a steamer for the media contingent were met with multiple responses; from "we will try" and "yes we are arranging", it turned to "how can we arrange a boat...what if you fall into the river? We can't take responsibility". 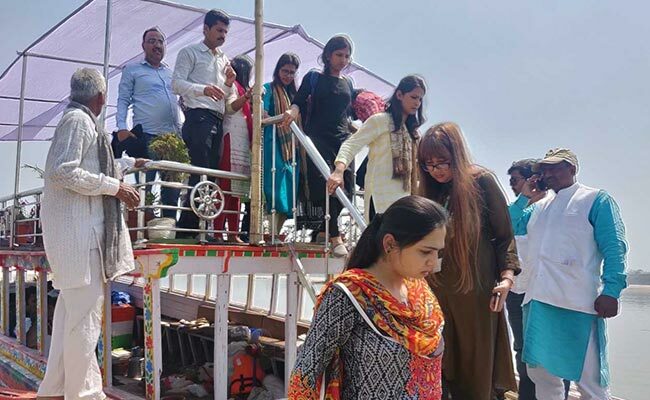 As journalists reached the Manaiya Ghat, a nondescript pier about 20 km out of Prayagraj, they saw one steamer all decked up for Priyanka Gandhi and a few others nearby. Priyanka Gandhi reached around 11.30 am, two hours after her scheduled time. In the middle of chaos, she managed to get onto her steamer with the help of the SPG or Special Protection Group that guards her 24/7. The drama started then. As Priyanka Gandhi's steamer started moving, another boat drew up close to hers. Someone suggested that was for the media and suddenly, dozens of journalists made a dash for it. So did a lot of Congress leaders who did not want to be left behind. My senior colleague Kamal Khan and I wondered what to do. Finally, we joined the rush and were pulled on board by some Congress workers. The boat swayed and it seemed like we could topple over. The boatman started shouting that at least 20 people had to get off. Ultimately, the consensus was that all Congress leaders would get off the boat. They did, most reluctantly. By the time we started, Priyanka Gandhi and her steamer were long gone. Our troubles were not over yet. When our boat reached the middle of the river, the engines stopped. A reporter from a foreign publication asked me if it was safe. I suggested, helpfully, "We must think happy thoughts now that we were in the middle of the river". Five minutes of nervous silence later, the boatman announced that we were stuck in sand as the water level is low. That's why it took the Congress four days to get permission for Priyanka Gandhi's steamer ride from a reluctant administration. The journalists were told the steamer would not move further and that a smaller boat had been summoned to take them back to the pier. I immediately thought of a light-hearted discussion in Lucknow on Sunday in which we had discussed the possibility of crocodiles jumping on to our boats in the middle of the Ganga; this stretch of the river has an abundance of them. Another 30 minutes later, the smaller boat arrived and we all gingerly shifted from one boat to the other. It took us another half an hour to reach the banks. When we reached, a senior Allahabad Congress leader, not prone to losing his temper, was fuming. "Is this the way? Even I couldn't get on to any boat. Forget me...look at what has happened to you lot. This is what happens when people make programmes in their drawing rooms. No one has any idea. I am so angry," he fumed.